A simple, convenient kit for carrying a kayak on car top. 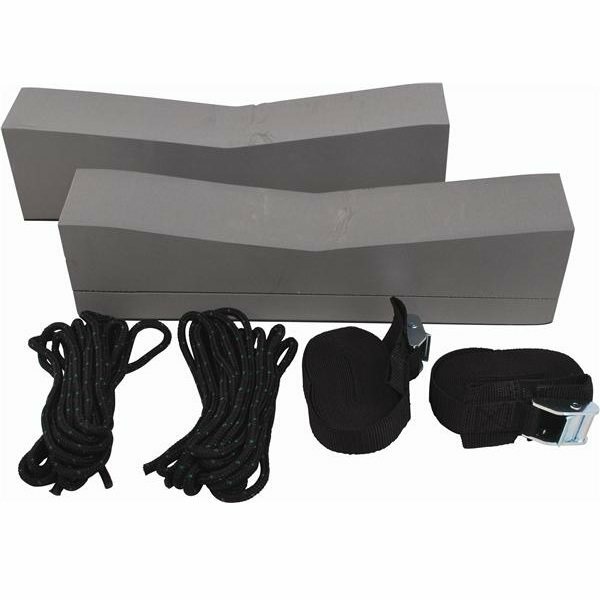 Includes two supporting foam blocks that snap on boat's gunwale and help prevent scratches on car top. Two straps with adjusting buckles and clips. Includes 20' of polypropylene rope and S-hooks to secure bow and stern to bumpers. Straps are sturdy poly web with vinyl-coated clips.